Luxury athleisure label Koral was founded by designer Ilana Kugel in 2014. After moving to Los Angeles from her home country of Brazil, Kugel was inspired by the West Coast’s health-centric lifestyle, but unmoved by the selection of leggings and sports bras available. The artist and designer put her skills to use, launching Koral based on the notion that activewear should be feminine, edgy, and luxe. 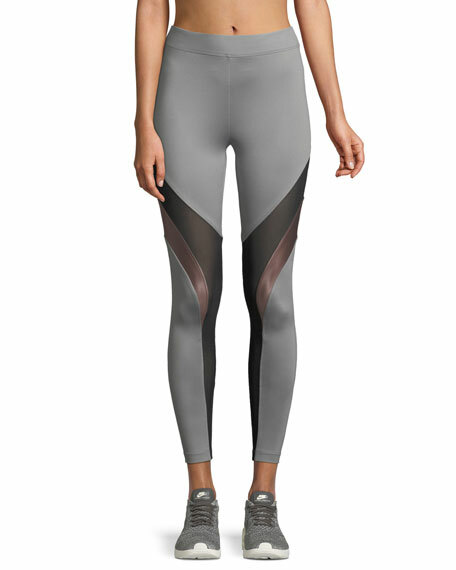 Yoga leggings and sportswear by Koral are minimalist yet on-trend, featuring innovative metallic, jacquard, and printed fabrics, as well as classic black or neutral pieces. Shop a selection of luxury athleisure by Koral at Bergdorf Goodman. All Fenix "Aria" leggings in supportive compression fabric. Moisture wicking, quick drying, breathable, and four-way stretch. Flat-locked seams prevent chafing. Contrast striped panels. High-rise lined waistband. Second-skin fit. Ankle length. Pull-on style. Polyester/spandex. Imported. 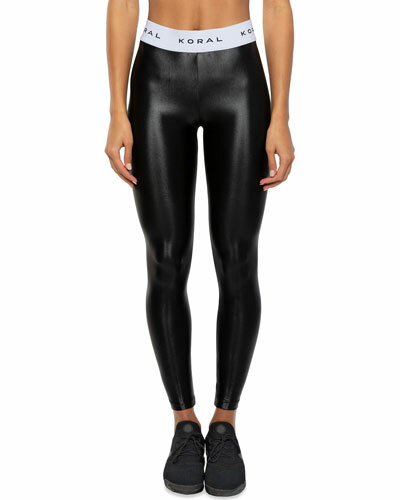 All Fenix "Heather" leggings in supportive compression fabric. Moisture wicking, quick drying, breathable, and four-way stretch. Flat-locked seams prevent chafing. High-rise lined waistband. Second-skin fit. Ankle length. Pull-on style. Polyester/spandex. Imported. 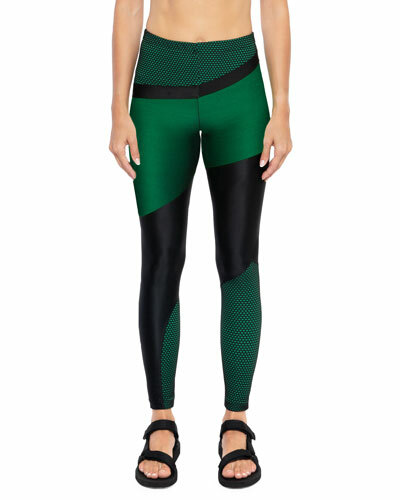 Koral Activewear "Frame" leggings in performance fabric. Contouring contrast mesh panels. High-rise waistband. Second-skin fit. Ankle length. Pull-on style. Nylon/spandex; combo, nylon/Xtra Life Lycra spandex. Made in USA of imported material.